Driven Brands is testing the Canadian CARSTAR Express model in the U.S. for possible expansion in Driven’s Paint & Collision division, Collision Repair Magazine reported Friday. 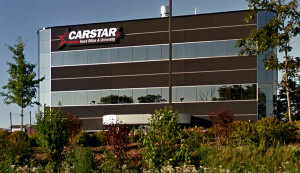 Driven Brands bought CARSTAR Canada’s more than 230 locations for an unspecified amount on Wednesday. The subsidiary of Roark Capital Group also acquired the U.S. CARSTAR operations for an undisclosed amount less than two months ago. The Canadian purchase places 450 total CARSTAR locations and $700 million in sales under one roof, Driven Brands said Wednesday. The CARSTAR Express concept originated in Canada but is rare in U.S. CARSTAR operations, according to Toronto-based Collision Repair Magazine. The CARSTAR Express branches are stripped-down body shops handling auto glass work , cosmetic damage and paintless dent repair, according to its website. Insured customers can still bring a more heavily damaged vehicle there and get squared away with a rental vehicle, according to the website. The Express will ship the car to a CARSTAR collision center for the actual repair work and return it to the Express for the customer, according to the website. Expresses can also do minor preventative maintenance work (oil changes, tires, etc. ), and three locations can do more extensive mechanical work, according to CARSTAR Canada. Driven Brands has begun testing the concept with its brands in the U.S. and might extend best practices across Costa’s division, which includes both all U.S. and Canada CARSTAR locations as well as MAACO and Drive N Style, Collision Repair Magazine reported.